Join us for our Big Day Out! In this article, I’ll be taking a look at branding. I can actually hear you rolling your eyes already, but I urge you to read on. This isn’t an article packed with incomprehensible and meaningless ‘marketing jargon’, it is instead a realistic and honest look at all the things that give new and existing customers a perception of your business, whether that be good or bad. It doesn’t matter if you’re a one man, one ramp operation – these things matter. Having been in this trade in one way or another for over a decade, I know that quite a lot of you are doing some or all of these things. Even so, it never hurts to stop, take a step back and make sure everything is just as it should be. One definition of branding is: ‘The overall experience of a customer that distinguishes an organisation or product from its rivals in the eyes of the customer’, so, what specifically does this mean in relation to an independent garage business? In short, it means everything – your website and advertising, signage on the premises, waste handling, your waiting area and customer facilities, workshop condition, workshop tidiness and overall customer service. A customer’s perception of your business is directly affected by everything they see and experience. This means they will form an opinion on your ability to do your job, and they will also form an opinion of the fees that you charge – a scruffy, untidy, disorganised business = a potentially crap, but cheap job. Let’s be honest, we all do it. From that pub you went in where it took ages to get served and the beer tasted like it had passed through a human first; the restaurant you never walked through the door of because its last makeover was forty years ago and had ‘food poisoning’ written all over it; the double glazing firm who put a leaflet through your door but were unable to spell ‘conservatory’; all the way through to that major electronics chain you’ll never set foot in again, because the sales assistant was a jumped- up little prat. How would a potential new customer describe your business on seeing it for the first time? How would a customer describe your business after having work done on their car by you? Do businesses survive when their branding is rubbish? Yes of course they do, but my point is, raising your brand and therefore the perception of your business to your existing and new customers, will only benefit you. This also isn’t about huge investments, it’s about making everything the best it can be. Website & Advertising: You may not have a website and you may not advertise, but if you do and they aren’t selling you in the best light, you’d be better off not doing it at all. Make sure everything is spelt correctly and written in a jargon-free way; check all the content is up-to-date; ensure your logo and images are all of a good quality, and make sure your contact information is prominent. If you can go one better than this and have a designer look at your website, advertising and logo etc, then do. Signage: The sign carrying your business name is likely to be the first thing they will see, if it’s in bad condition, replace it – this is literally your business name and logo. In the customer’s eyes, if you don’t care what condition that’s in, what else don’t you care about? But don’t stop there, are all your other signs present and correct? Waste Handling: Every business creates waste and you may not have the option of being able to store things out of sight, but how you store them will matter. Piles of tyres, bits of scrap and overflowing bins do not make a good first impression, not only that, but from a health and safety point of view it’s not good either. Get organised and keep everything straight. Waiting Area & Facilities: Have you got a waiting room/counter area? Do you have customer toilets? If the answer is yes, then how are they looking? A tired and rundown waiting/counter area does not say ‘professional business’. Give it a fresh coat of paint, replace worn flooring, change anything you have on the walls with new up-to-date information and get some frames to put it in. Make sure it’s clean and tidy every day and provide a drinking water dispenser. When it comes to the customer toilet, let’s be honest, you know the standard this should be at. way. Be mindful of how many channels of communication you’ve opened up to your customers and potential customers – if email, social media, phone and mobile all get too much, consolidate them to the one that works best for you. Just because it’s there, doesn’t mean you have to use it. Effective communication is far more important than a plethora of channels. The Workshop: Although everything on this list is important, this is the most important. This is where you work, it’s your trade, it’s your area of expertise. It needs to be clean, tidy, well-lit and highly organised. 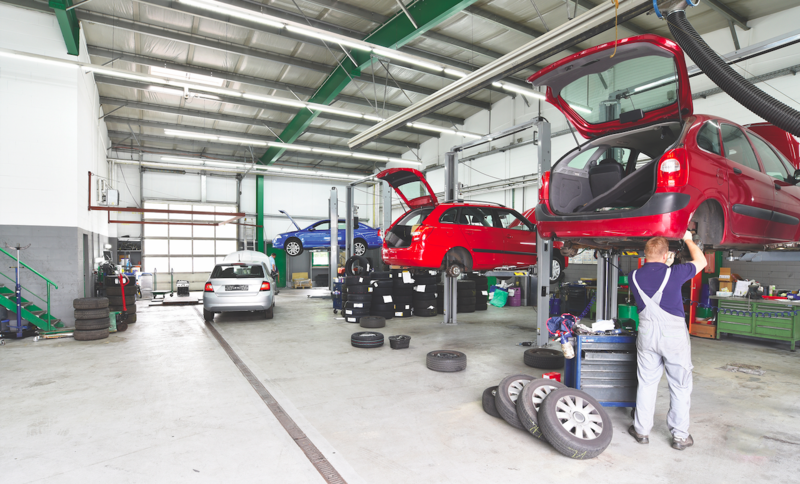 Your customers will make a direct comparison (consciously or subconsciously) between the condition of your workshop and you as a technician. In closing, put yourself in your customer’s shoes; look at your business through their eyes; get friends and family to give you some constructive criticism and suggestions; survey your existing customers and you may be surprised what changes you can easily make for a happier and more profitable 2019. 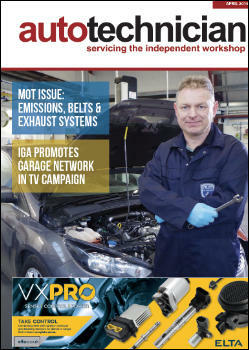 The April issue focuses on the MOT test and emissions. Our 4Tech feature covers new technology, including the 4-way catalyser with Gasoline Particulate Filter employed by Volkswagen and there’s a New Car Focus on the Skoda Scala and Kamiq. We detail our Big Day Out in Chatham, include a James Dillon Ampera case study, Hybrid & EV training review plus the regular products and tips! Subscribe here to request your free copy in the post. Autotechnician is a bi-monthly magazine delivering essential information to independent garage owners and technicians in the UK. Delivered both digitally and in print, autotechnician provides readers with technical, training, business advice, product and news, allowing our readers to keep up to date with information they need to run and work within a modern workshop. Autotech helps technicians identify where they may be falling down in order to support them on their way up! Autotech involves an online assessment but it’s not a competition. Find out more on the autotech information page, then register and take the test!